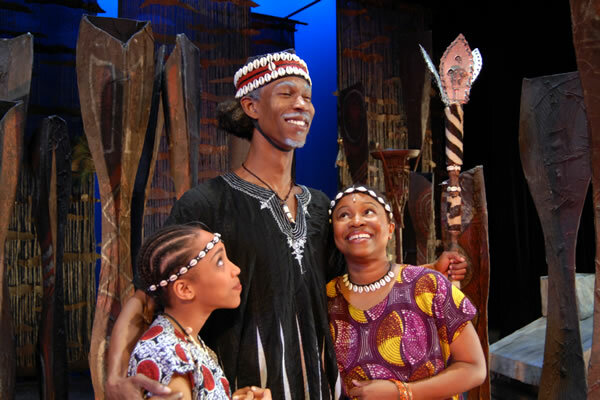 On Tuesday, November 1, we had two amazing performances of Mufaro’s Beautiful Daughters at the Performing Arts Center at Purchase College, NY. We were very happy to welcome the Dallas Children’s Theater, one of the largest not-for-profit family theater in the Southwest, to perform for hundreds of children ranging between 1st and 5th grade. Already when the doors opened, one could feel the excitement in the children. They were very attentive and the amazing production ended with a LOUD round of applause. While gathering with their classes to go back to their schools, one could hear lots of chatter and laughter about the best moments of the show. Overall it was an amazing day that combined learning with joy and artistry! Anyone following our blog this season will know that a centerpiece of our work in AIE this fall was the fantastic collaboration between Arm-of-the-Sea Theater, local schools, and ourselves in celebration of the 400th anniversary of Henry Hudson’s discovery of the river that bears his name. Director and teaching artist, Patrick Wadden spent many hours in-residency in George M. Davis School, Greenville School and Garrison UFSD, producing art works based on the history, culture and ecology of the Hudson River. The work culminated in a thunderous parade on November 16th ahead of Arm-of-the-Sea’s first performance of “Mutual Strangers: Henry hudson and the River that Discovered Him”. As the upper lobby thundered to the chants of 400 4th and 5th grade students it was a perfect example of education and celebration combining in artistic transformation. Thanks to our Director, Wiley Hausam, the build up, climax and aftermath of the parade was caught on camera, and the video below captures the excitement and humor of the day for all who participated. It is happening again! AIE is hosting PAWS!! 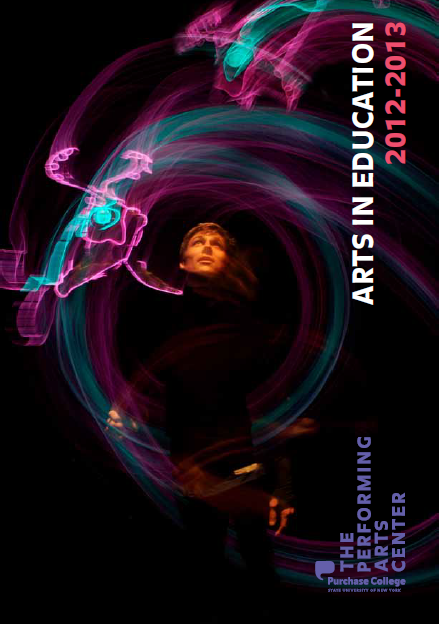 Students from grades 9-12 are joining us at our Performing Arts Workshops! We offer all kinds of different performing art classes ranging from acting to staging to Latin dance! We have over 350 students coming from Westchester, Rockland, and Connecticut to attend our all day workshops at Purchase College. Paws can let you find your inner performer by exposing students to art that they would usually not be able to see or actually be a part of. Students are going to be able to choose 3 workshops from a variety of classes that last 1h 15 min. They can experience what it is like to be a dancer, an actor and even improv on stage. It will be a day of laughter and joy filled with new experiences. We are really looking forward to our 2010 PAWS workshop!